Think of your face like a canvas—priming the surface helps the paint go on smoothly and enhances the finished product. Regardless of whether you prefer organic makeup or traditional cosmetics, you need to prep your skin before you can apply a foundation or concealer base. Here are some tips to get you started. Natural oils in the skin and dirt from the environment can leave your complexion looking dull and lifeless. Cleaning your face before applying makeup ensures it is ready for foundation. Use a gentle cleanser to remove grime. Solutions with glycolic acid will also help dissolve dead skin cells, so your makeup won’t cling to dry spots. This facial treatment is a welcome alternative to mud masks because you don’t need to wash away sticky residue afterward. The fabric sheets are drenched in serums that contain minerals and additional nutrients to keep skin healthy as well as help foundation goes on smoothly. 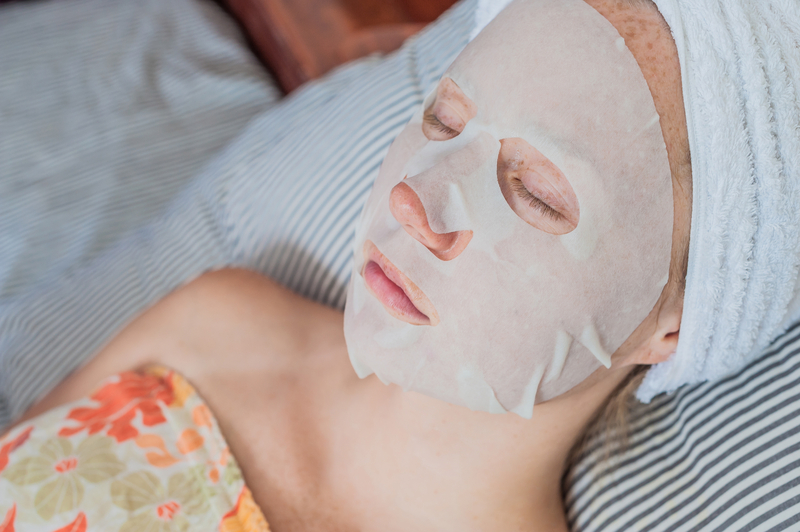 After washing your face, apply the mask for 20 to 30 minutes to give the serum enough time to soak into your skin. Moisturizer smooths out the skin and keeps it from drying out after makeup is applied. This way, you won’t see creases around the mouth or flaky spots in the t-zone. If you have oily skin, use a lightweight moisturizer to normalize oil production and prevent cosmetics from streaking and running later. The last step before applying cosmetics is to cover the face in a primer. The cream or lotion is specifically designed to bind to makeup for more even wear and longer-lasting results. If you are worried about exposing your faces, eyes, and lips to certain chemicals, try organic makeup. These products often contain grape seed and green tea extracts, as well as antioxidants to curb the production of free radicals. If you want a relaxing facial to hydrate the skin and restore your complexion, the professionals at Bloom Beauty Lounge are here to help. The Chelsea hair salon is dedicated to ensuring city dwellers look great without introducing unnatural chemicals into their bodies. They can also share organic makeup ideas for special events. To schedule an appointment at the Manhattan facility, call (212) 255-9355. Visit their website to discover how the technicians will care for your skin, and browse their Facebook page to see before-and-after photos of clients’ haircuts.